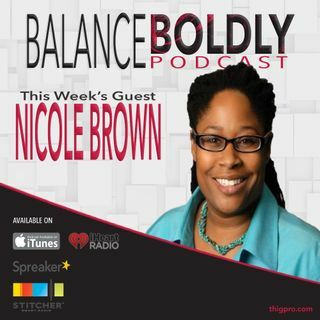 Nicole Brown joins me today to share how one person inspired her to go further and eventually impacted the trajectory of her life. She also shares the significance and power of showing up - not only in her education as she dealt with doubtful stares head on - but also in her career and, ultimately, in the community she serves. Nicole is an environmental engineer with a business development role at AECOM, the number one global design company that builds, designs, and manages projects that ... See More improve people’s lives. With 20 years of experience as an engineer, she is passionate about empowering women of color in STEM fields and educating others about the facts, safety, and importance of having reliable drinking water available around the world through writing, public speaking, and her community participation efforts.